BETTER BODY, BETTER GOLF, BETTER LIFE! Golf Fitness Programs: What do all tour players have in common? They generate POWER from the same areas of their body, regardless of the fact one person’s swing differs from the next. A better body leads to better golf! Learn how to maximize your body to maximize your game. Functional Movement Screening, Performance Exams and Injury Evaluation & Management are just a few additional services we provide. Treatments include but are not limited to: joint mobilizations, therapeutic exercise, functional myofascial taping, and instrument assisted soft tissue mobilization (IASTM). TPI Certification is a multi-level, multi-track certification program designed to improve the overall knowledge base of any professional that works with golfers (golf professionals, medical professionals, fitness professionals and biomechanics professionals). USA Hockey has implemented functional movement testing. Let Leading Edge Performance help step up your game as well. Starting A New Routine In The New Year! How Can I Improve My Hip Turn? 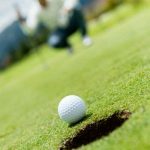 Why Does My Back Hurt When I Play Golf? Feel free to contact Marie with questions, or use the contact form on this page. © 2017 Leading Edge Performance. All Rights Reserved.